A love triangle forms against the backdrop of the Second World War. Julia journeys to the Indo-Burma border to perform for the troops during World War II, on the insistence of Billimoria, her lover. There, she finds herself enamoured by Jemadar Malik, a soldier. 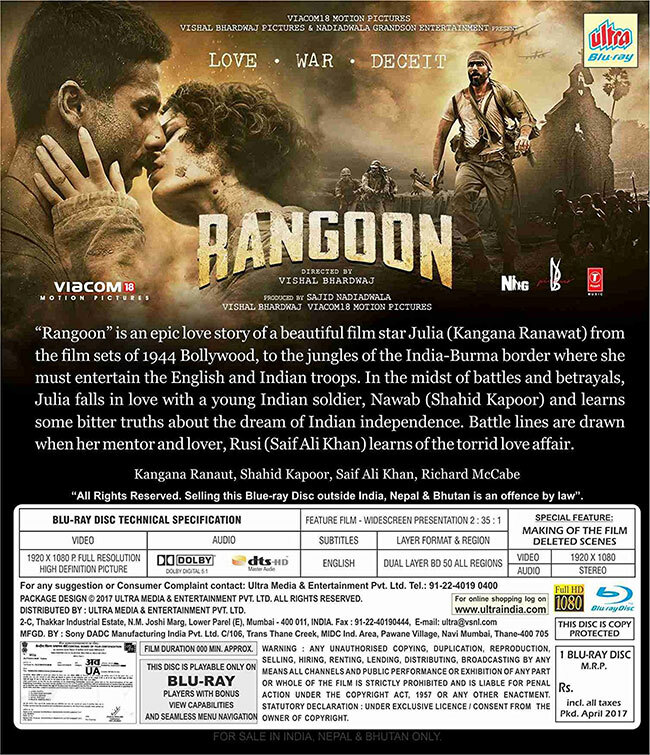 The film is a war-romance set in pre-independent India. As is known, there were differing strands in the movement. Mahatma Gandhi adopted ahimsa to get freedom; Subhash Chandra Bose was the force behind the Indian National Army that got on the front foot to boot the enemy out. Even as this strife played out, Julia (Kangana), the daredevil actress of the 40's ruled hearts. Closer home, her married producer Russi Billimoria (Saif) is besotted with her and at the border, Jamadar Nawab Malik (Shahid) loves her to death.